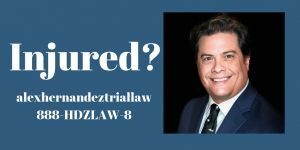 Corpus Christi Personal Injury & Car Accident Lawyer | Alex R Hernandez Jr. 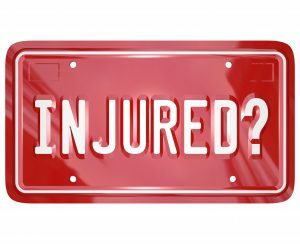 Were You Injured in A Motor Vehicle Accident/Collision? Injured by The Negligence of Someone Else? Fees Are Determined On Getting the Best Recovery - we pay the upfront expenses so you don't have to and we take the risk for you , we deduct them at the end so that you have no upfront costs. When you’ve been hurt thanks to someone else’s carelessness, just remember to call Alex R. Hernandez Jr. PLLC you’ll get an experienced lawyer on your side who will help you take on the insurance company, determine what steps to take next, and gauge how much your claim is worth. With our firm, you’ll get the legal help and the results you need and deserve. If you have been hurt due to someone else’s neglect or carelessness in any type of situation including car accidents, national personal injury lawyer Alex R. Hernandez Jr. PLLC can help. In fact, you need a trusted trial lawyer to handle your personal injury case. Mr. Hernandez speaks Spanish Fluently to Help Your Loved Ones. Welcome, I wanted to thank you for personally reviewing my website. This is my main personal injury website intended to help clients find our services and be able to message us, call us, text us, and just find us and me, Alex R. Hernandez Jr., personally. Our main focus is litigation and trial law, in order to help YOU, our client in helping prosecute those who were negligent in causing your injuries. We also have two other websites, alexhernandezbusinesslaw.com, and alexhernandezcriminallaw.com to help you looking for the business law and criminal law services we help you get through those issues. We divided our services because someone in a car accident may not need a criminal law attorney right now, just as a business law client may not need a car accident attorney right now. We handle the services that YOU need today, personal injury, business law, criminal law, probate law. Let us help YOU today. WHY CHOOSE ALEX R. HERNANDEZ JR. ATTORNEY AT LAW? Better Customer Service. Family Run Business. You’re not a number you are a friend. Fully bilingual staff AND Alex R. Hernandez Jr. speaks Spanish fluently as well as some other languages. After an accident or injury, it’s absolutely essential that you recover your damages and losses from the responsible party or even to research and find coverage from whoever is responsible for your injuries and damages. Doing so will allow you to get the medical care you need, repair your property, and simply move on. But getting that compensation is not easy, contact the personal injury lawyers of Alex R. Hernandez Jr. PLLC for legal help. Alex R. Hernandez Jr. PLLC has the experience you want on your side. Our injury attorney has handled a multitude of cases that run the gamut when it comes to accident type and injury severity. Alex R. Hernandez Jr. is rated Superb 10.0 by Avvo. No matter what you’ve been through, our injury attorney will know how best to handle your case and get the best outcome available for your personal injury case. Also, there are several resources available to our attorney and staff. When your future wellbeing is on the line, you want to know that your attorney has all the necessary tools available. Finally, our personal injury attorney has a powerful reputation in the Texas legal community. When an insurance company hears that Alex R. Hernandez Jr. PLLC is handling your claim, they’ll know that you mean business. We strive to settle cases quickly through negotiations, but the insurer will know that we’re not afraid to go to court and get the compensation you need. As an established national personal injury law firm Alex R. Hernandez Jr. PLLC has handled a very diverse range of accident cases throughout the state and nation and stand ready to help in the investigation on prosecution of serious injury cases. Our hands-on approach to accident injury cases ensures that the unique aspects of every case get the attention that it deserves in order to maximize the value of your personal injury claim and case. Our personal injury practice is a contingency-fee practice which means we put forward the costs of our services to obtain the maximum benefit possible for our clients. Expenses are paid up front by the law firm and we deduct it at the end. We handle the risk fo the case so that you don't have to worry. We do not guarantee results, only the zealous representation of you in your injury case. However, if we do not win then you owe us nothing. We fight to get justice, and our record speaks for itself. Call us today to discuss your case with our personal injury law firm Alex R. Hernandez Jr. PLLC. Additionally, we practice in many other personal injury matters, so be sure to contact us and ask what we can do for your case today. Every day skilled workers attend head off to work in factories and construction sites with the goal of putting in a full day's worth of work and helping support their families. In the industrial setting, when corporations put a premium on profits over employee safety, basic safeguards and basic common sense may be ignored resulting in situations where workers are seriously injured. When a worker is injured on the job, the impact is felt on both the individual and his or her family. As legitimate medical concerns ease, a ready source of strain economic strain may pervade the family unit. Our attorneys appreciate the broad impact a work accident can have on a family and do everything possible to secure a recovery for the immediate and future costs related to: medical bills, lost wages, disability and pain. As much as we try to protect our children, dangerous conditions commonly arise in a variety of contexts where children are frequently present and put in danger. When the condition of the property or conduct of the authoritative figure results in harm to the child, the minor’s parents may pursue a legal remedy to recovery compensation for the child. Our personal injury lawyers are her to ensure that a fair settlement can be reached. We know that even with strict construction safety guidelines and OSHA regulations, skilled workers on construction sites remain at risk for injury due to inherently dangerous conditions and companies who cut corners when it comes to job site safety. If you were injured on a construction site, our attorneys will take the necessary steps to protect all of your legal rights for the fullest possible recovery for you. Truck accidents, collisions and crashes can be complex and frequently involve multiple parties including: trucking companies, drivers, logistic companies, and corporate product manufacturers and distributors. For experienced legal representation, be sure to contact our Corpus Christi personal injury lawyers. As a motorcyclist injured in an accident, you may face an uphill battle with insurance companies to recover compensation for your medical bills, property damage and lost income. Our lead attorney has been a motorcycle rider since youth and understands the dangers of distracted drivers and how they relate to motorcycle accidents. Many of these accidents are avoidable but the negligence of others is what we pursue and fight for our clients. Our accident attorneys have resolved hundreds of automobile cases on behalf of injured people and their loved ones. While safety advancements continue to make vehicles ‘safer’, operator error is the primary cause of these collisions. Our law firm is familiar with causes of these accidents, the insurance companies frequently involved and how to get justice in every circumstance. For legal advice be sure to speak with one of our personal injury lawyers today. We represents plaintiffs’ in dog bite and dog attack cases throughout Texas Our attorneys know the immediate and future consequences a dog bite can have on the victim and work to secure the most favorable recovery for you via negation with the insurance company for the homeowner or litigation. While many dog bite attacks occur at the home of friends or relatives, it is important to remember that the insurance carrier typically pays for a settlement as opposed to payment from the dog owner directly. We make claims against homeowners insurance or other insurance companies. Our law firm is deeply committed to holding negligent drivers responsible when their acts cause a bicycle accident. After establishing that a driver’s conduct caused an accident, we then turn to demonstrating our client’s injuries are fully established to an adjuster at an insurance company or jury hearing evidence in a bicycle accident lawsuit. As an injured bicyclist you can take comfort in the fact that our firm has successfully represented hundreds of injured bicyclists in almost every conceivable fact pattern. The most promising pharmaceutical drugs may arrive to a very receptive marketplace as they offer hope of pain relief or a higher quality of life for patients who may have a chronic condition or disease. While many of these medical advancements are truly revolutionary, others do little more than add to the problems a patient may have been suffering from originally. Our law firm knows how devastating medical complications can be after a patient has put their trust into a drug that was offered alleviate a debilitating condition and are committed to holding these companies fully responsible. When a defective or dangerous medical device is placed in the market, it may have disastrous consequences for the people it was designed to help. In recent years, we have witnessed devices such as: surgical implants, surgical equipment, hospital equipment, diagnostic tools, prosthetic devices and other medical appliances rushed to market without the necessary testing performed by the manufacturer to ensure that the product is safe. Our firm is committed to helping plaintiffs injured by these defective medical devices. Have you recently been injured because of negligence? We at Alex R. Hernandez Jr. PLLC are here to protect your rights as an injured victim. Our personal injury attorneys handle Trucking Accidents, Auto Accidents, Defective Products and other personal injury matters for you. Attorney Alex R. Hernandez Jr.’s reputation as a tenacious trial attorney and advocate speaks for itself. 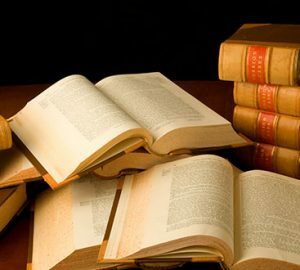 Our staff of litigation paralegals get cases ready from the filing of the lawsuit, through discovery and depositions, to getting the case ready for deadlines through to what usually amounts to a week long or even month long bench or jury trial. We are ready to help you with your trial. Alex R. Hernandez Jr.’s reputation as a trial lawyer merges into the defense of white collar crimes. Alex R. Hernandez Jr.’s background in business, accounting and economics allows him to properly advise and represent clients charged or facing white collar and federal criminal charges. If you need a white collar criminal defense attorney Alex R. Hernandez Jr. is the one to call. Have you or a loved one used a medical device or been prescribed a drug which turned out to be defective and resulted in serious illness? Did a faulty product malfunction and directly cause you harm? Our personal injury attorneys handle featured Lawsuits such as Abilify, Essure, IVC Filters, Stryker Hip, Talcum Powder and Xarelto. We are accepting others, see our Mass Torts pages for more information. We are the go to firm when it comes to auto and 18 wheeler accidents. Our staff of former adjusters and attorneys who handle prelitigation attempt to maximize settlement value before a lawsuit is even needed to be filed. If filed personal injury attorney Alex R. Hernandez Jr. is the lead attorney handling your 18 wheeler or auto accident. From start to finish we get things done. When you buy insurance you sign a contract with that insurance company that says that you are covered giving you peace of mind. When the insurance company denies your claim because of greed and has a pattern of doing so we step in an pursue that claim for you as a bad faith claim. Let us help you with your wrongfully denied claim. 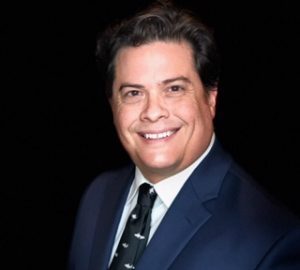 Alex R. Hernandez Jr. is a trial lawyer first but armed with background in economics, finance and business he represents business clients with experience and tenacity. If you have a business law issue you need handled call him first. We are national mesothelioma law firm. We handle mesothelioma cases as far as Philadelphia as well as our Texas base. We know what to look for in looking at whether you have a mesothelioma claim. Our own families have been touched by mesothelioma having family that worked in the plants that had asbestos. Plants such as Alcoa, Reynolds Metals, Dupont and other plants in Texas and Nationwide. Alex R. Hernandez Jr. uses his background in Economics, Business, and Law to handle your matters dealing with complex litigation matters including family law property divorce division issues with QDRO’s, businesses, 401k, retirement, and partnership agreements. Call today if you have a complex litigation or divorce matter. When you need a tough Maritime and Offshore Injury Attorney, Alex R. Hernandez Jr. is your lawyer. We have helped hundreds of individuals hurt offshore especially on the Texas coast. Call us today for Maritime Law Representation. From Brownsville to Corpus Christi, from Palacios to the Port of Galveston, our attorneys are ready to help you. Was your accident caused by another driver who was behaving negligently or recklessly? If so, our personal injury attorneys and personal injury law firm will work to hold them responsible. In addition to seeing that justice is served, you may be entitled to compensation for your physical and emotional suffering. If you have a lost a loved one to a preventable accident, then the last thing you may want to deal with is a legal claim. Even so, you may be faced with funeral costs and medical bills, financial losses that may only be exacerbated by income losses. Personal injury attorney Alex R. Hernandez Jr. can help you get the compensation you deserve. Mesothelioma Lawyer Alex R. Hernandez Jr.
Have You Or A Loved One Been Diagnosed With Mesothelioma? Exposed to Asbestos Several Years Ago? Alex R. Hernandez Jr. has been handling mesothelioma claims for clients and family members for two decades. 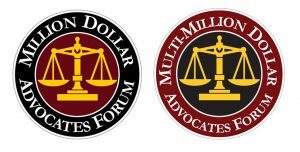 Since first representing and defending multinational companies, to realizing that the good work that should be done is representing those injured by asbestos products and now helping the right side of the docket with mesothelioma and asbestos. 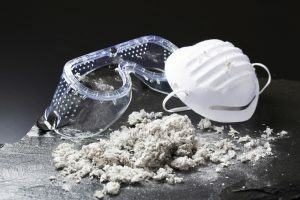 Alex R. Hernandez Jr. has been helping with asbestos and mesothelioma clients seek compensation and the justice they deserve for asbestos related diseases against asbestos companies. 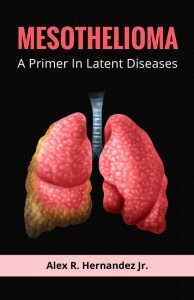 Asbestos attorney Alex R. Hernandez Jr.'s new guide book on Mesothelioma is available now and can be ordered by filling out the request form. 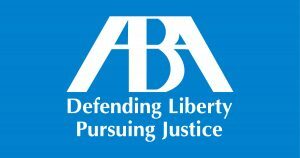 Free Consultations are available to speak with an experienced mesothelioma lawyer, we know about the statute of limitations in making claims as a mesothelioma victim, our mesothelioma settlements have helped families and mesothelioma patients We can help you get to the asbestos trust fund to secured proper settlement. Which Book Are You Requesting? * Alex R. Hernandez Jr. awarded 10 premier personal injury lawyer in 2015. How Can A Personal Injury Lawyer Help My Accident Case? We handle the case from start to finish. We set up the difficult tasks that we handle on a day to day basis from setting up the claim for property damage to the personal injury claim to sending what the insurance company needs as a demand for the claim to be paid. These tasks can be difficult and nerve racking to anyone without the knowledge of how to talk to insurance companies without affecting the value of your case. If it doesn’t go as planned we make the determination to file suit on your case. How Long Do I Have To File A Personal Injury Claim? It depends on the State that you had the collision in. How Much Does It Cost to Hire Alex R. Hernandez Jr. for a Personal Injury Case? Our law firm does not get paid unless we can recover for you on your personal injury case. It is not like a divorce, business or probate case where you might have an hourly fee that we might charge you. With a personal injury case we only get a percentage of the recovery that we can get, that means we fight harder to recover more for you in the end. The Insurance Company Already Made Me an Offer - Do I Accept It? We don't usually recommend accepting an insurance companies first offer. They are making the offer to get rid of the case and your case may have more value than you think. We can help you get more but it's not a guarantee. Your case facts may be different. We can give you a preliminary consult for free if you need to at this point. How do You Determine What My Case Is Worth? We use the economic and noneconomic valuations of your case to make that determination. Mr. Hernandez was a trained economist before he went to law school and can look at your case to determine value based on your injuries, your wages, where the accident happened, who is at fault, the reputation of the insurance company, the opposing party that hit you and more. What is Pain and Suffering and How Does It Determine the Outcome of My Case? Everyone has a different way of coping with a serious injury, is there a mental health evaluation, has it caused depression, what are the extents of the injuries compared to the emotional impact they cause. Have you seen a psychologist or psychiatrist? These factors determine the pain and suffering damages of your case . What are Punitive Damages and Can I Seek Them? Was the driver of the vehilce texting and driving? Was the other vehicle a commercial vehicle? Punitive damages can increase the value of your case substantiallly. We can help determine whether you have a punitive damage claim. MEET ALEX R. HERNANDEZ, JR.
We have offices throughout Texas by appointment. Call today. Principal Office Corpus Christi Texas. 2019 Alex R. Hernandez Jr. | All rights reserved. No designation has been made by the Texas Board of Legal Specialization in any areas. Alex R. Hernandez Jr. is the owner of this website and is responsible for the contents of this website and is the lead attorney for all information on this site. Mr. Hernandez' principal office is Corpus Christi, Texas.